Quality robust ratchet w/comfortable handle, extensions and sockets. Nice tool set with chrome-plated matte finish. Also purchased the 2.5" extension to complete the set. This extension will fit inside the steel case underneath the 10-inch extension cutout. A few of the sockets inside the set were scratched when received, but no problem. 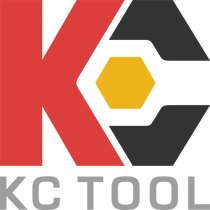 I can't say enough good things about KCTool and staff, excellent company! They are efficient, great customer service, awesome website and their packaging of products for shipping is second to none. Highly recommended.